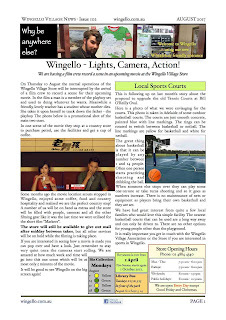 An action issue of the Wingello Village News is now out. This is the 102nd monthly newsletter! Doesn't time fly. Basketball is the go for Wingello? Wingello Rain Chart - we love the rain.